On the second tier, the 4 statues are representations of Science, Art, Poetry and Industry. 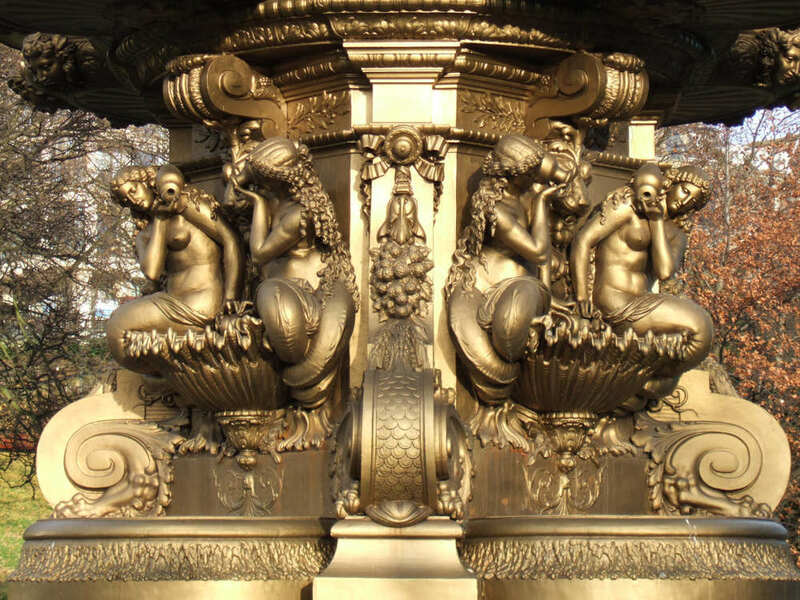 The second tier water basins are held up by mermaid children. At the top the final figure holds a cornucopia. The figures were sculpted by Jean-Baptiste Klagmann, who has done other famous works of sculpture in Paris. 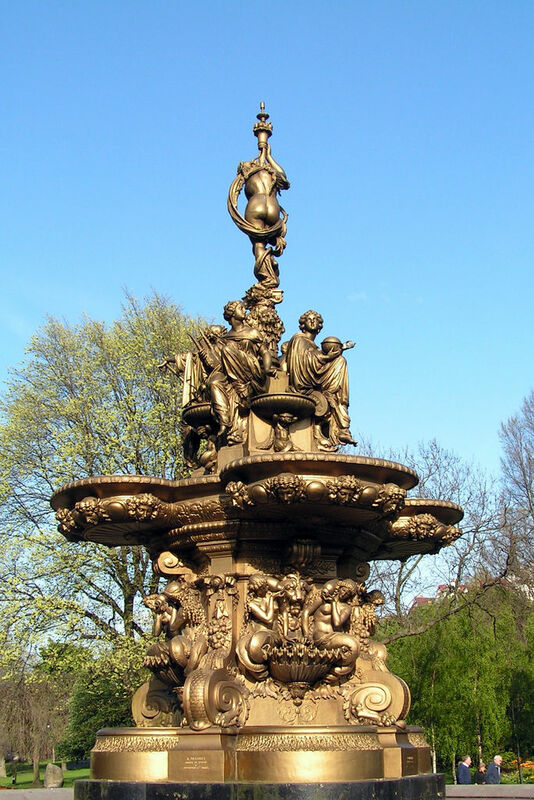 Daniel Ross of Edinburgh bought the fountain when it was exhibited in London in 1862. Ross donated it to the city of Edinburgh. It was dismantled in London and shipped, and then installed in its present location in 1872. 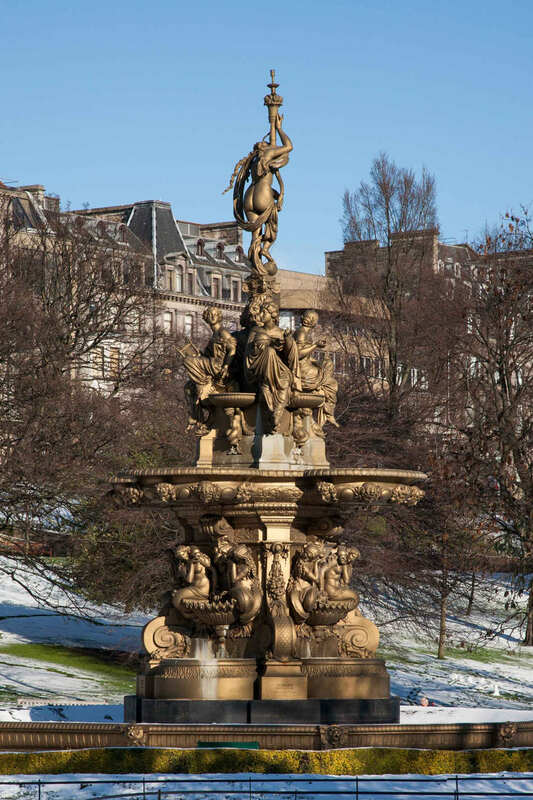 In 2001 the fountain was fully restored, as broken pipes had made the fountain inoperational. The Linlithgow Palace King’s Fountain mermaid statue. 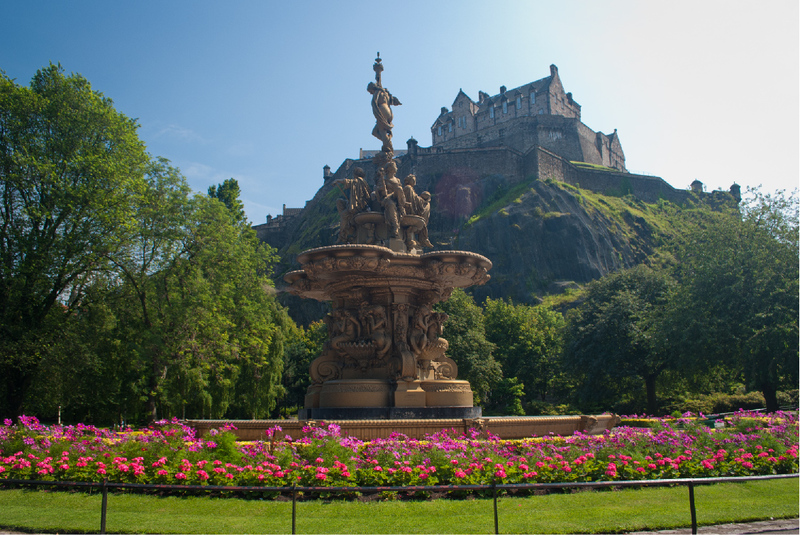 The Ross Fountain in Edinburgh. Photo by Adam Stewart. The Ross Fountain in Edinburgh. Photo by Nick Haynes. 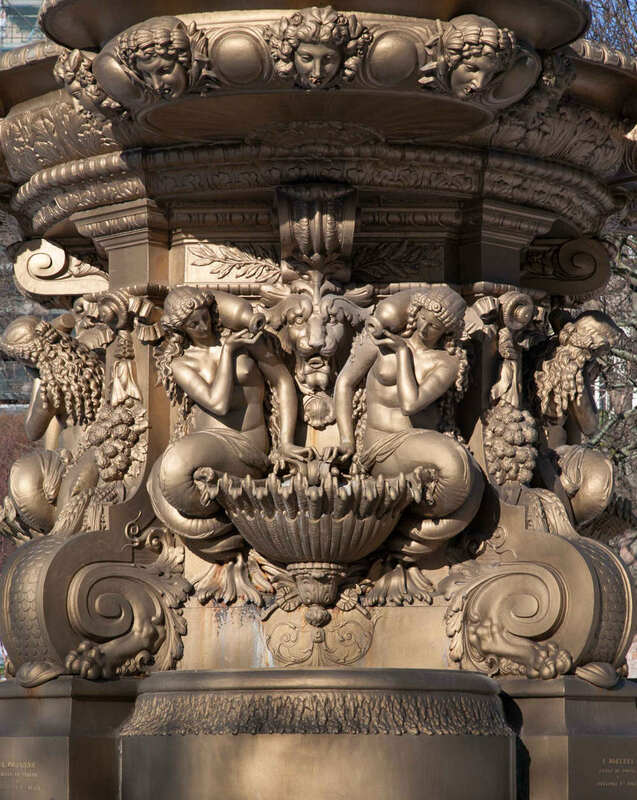 The Ross Fountain Mermaids – 2 of 8. Photo by Nick Haynes. The Ross Fountain in Edinburgh. Photo by Andrew Short. Additional images: If you would like to help with additional photographs of these mermaid statues, please contact us. Photos must be yours, 10 megapixel or better. We can only accept photos if you give us full rights to use them in print and digital media.